Foodies, this is your night! Experience farm-to-plate as you never have before with Morris Tap & Grill Executive Chef and Food Network’s ‘Chopped’ Champion, local Chef Eric LeVine, at Donaldson Farms’ 500+ acre working, family owned & operated produce farm! You harvest fresh ingredients and enjoy an interactive, entertaining, hands-on cooking lesson -­- an amazing, fun, and unique dining experience on the farm! A seasonal delectable menu is created for a memorable experience! This culinary event is limited to 24 participants with 12 workstations – 2 guests per station. Limited seating ensures a fun night with individual attention and guidance by our staff. Our guests are asked to arrive at the farm by 6:00pm. We will board a hayride wagon and travel through fields of scenic farmland to pick-your-own vegetables, produce and/or herbs for the evening! After we return, we’ll head to our prep stations to cook ingredients under the direction of Chef Eric. To close out the evening, we will enjoy our your meal as a group! Weather: This event is held in a beautiful tent on the farm. Dress accordingly, check the weather prior to your visit. Crummy forecast? We will decide that evening if inclement weather will interfere with our hayride to harvest ingredients. If that’s the case, we will forgo the hayride and have fresh picked ingredients available for you to cook. Dress: Dinner casual – we will be harvesting ingredients from the fields and cooking. Ladies, if your heels are not up to the challenge, casual and covered toed shoes are suggested. Evenings may be cooler. Consider bringing a light jacket or sweater. Allergens: We will do our best to accommodate our guests with sensitivities/allergies, but cannot guarantee that allergens will not be present. Farm-fresh ingredients: Our menu each week will be ‘fresh-as-it-gets’. Herbs and sides for each menu will be based on the produce from our farm that is at its peak! Cancellations: Things happen. Please notify Donaldson Farms ASAP if you need to cancel your reservation. These are limited seating events that are often times wait-listed. Please be courteous. Refunds or exchanges: No refunds will be given within 72 hours prior to event. Refund and exchange requests will be reviewed by Donaldson Farms management and issued at their discretion. Payment: All major credit cards accepted. You will be directed to our secure ticketing site after selecting the ‘Register Now’ button below. Please be sure to select the date you are interested in attending. You will receive an email confirmation. Enjoy your time on the farm! 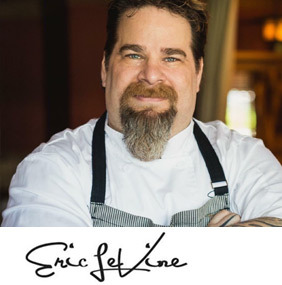 To learn more about local favorite Chef Eric LeVine, visit Chef Eric LeVine and his restaurant sites at Morris Tap & Grill and Paragon. “It was a FABULOUS experience!!! We can’t wait to do it again!!! Chef Eric was fun and very interactive, and as always, the Donaldson Family is so welcoming!!! Thank you for having us!!! 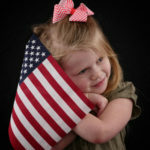 !” ~ Melissa M.
“Awesome evening! We can’t wait to learn more from Chef Eric and enjoy great food and company!! Thank for having us!! This was a 10! !” ~ Robin I. 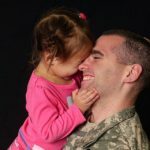 “Such a wonderful experience! Everything was top notch. Now to get the hubby to come along…” ~ Florence K.
“It was such an amazing night and an experience I’ll never forget! Thanks for having us!! !” ~ Angela D.
Deliciously sweet, fresh raspberries grown right here on our farm are now available! Pick your own berries or purchase pre-picked berries from our Farm Market. Experience farm-to-plate with Food Network’s ‘Chopped’ Champion, local Chef Eric LeVine! You harvest, grill, and enjoy an interactive, entertaining, cooking lesson -­- an amazing and unique dining experience on the farm! This four (4) week culinary series is limited to 24 participants per weekly event, with 12 workstations – 2 guests per station. Limited seating ensures a fun night with individual attention and guidance by our staff. This exciting opportunity is presented by Executive Chef/Partner Eric LeVine of Morris Tap & Grill in Randolph, NJ and hosted by Donaldson Farms. Get ready to harvest and prep your own ingredients while dining, all in the same evening. Fresh as it gets! Our guests are asked to arrive at the farm by 6:30pm. We will board a hayride wagon and travel through fields of scenic farmland to pick-your-own vegetables, produce and/or herbs for the evening! After we return, we’ll head to our prep stations to cook ingredients under the direction of Chef Eric. To close out the evening, we will enjoy our your meal as a group! A different seasonal and delectable menu has been created for each event in the series. View dates and menu information below. Rain or shine: Our events are held in a beautiful tent on the farm. Dress accordingly, check the weather prior to your visit. Crummy forecast? We will decide that evening if inclement weather will interfere with our hayride to harvest ingredients. If that’s the case, we will forgo the hayride and have fresh picked ingredients available for you to cook. Payment: All major credit cards accepted. You will be directed to our secure ticketing site after selecting the ‘Register Here’ button below. Please be sure to select the date you are interested in attending. You will receive an email confirmation. Enjoy your time on the farm! Our menu each week will be ‘fresh-as-it-gets’. Herbs and sides for each menu will be based on the produce from our farm that is at its peak! 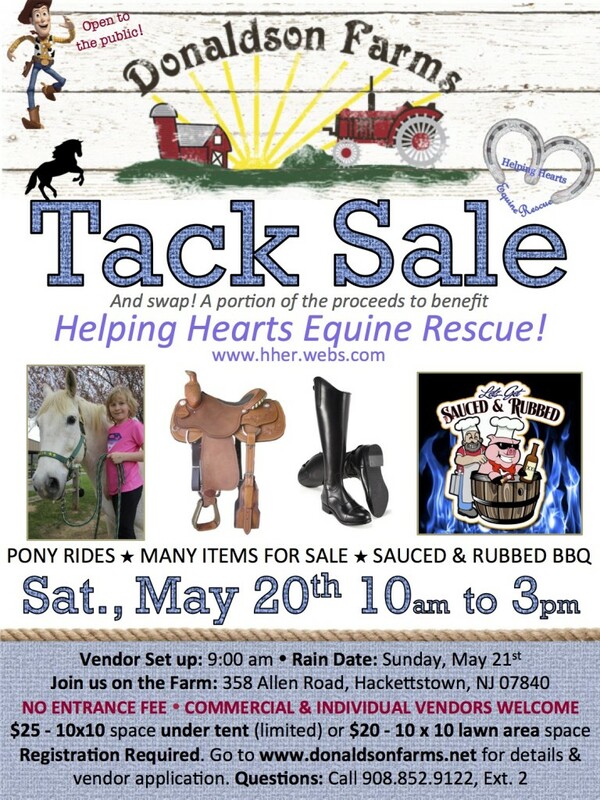 Saturday, May 20th – Tack sale and swap to benefit Helping Hearts Equine Rescue. Come on out from 10AM – 3PM and enjoy this event that includes many items for sale, pony rides (priced individually), and delicious food by Sauced and Rubbed BBQ! Commercial and Individual Vendors Welcome! Limited spaces are available under our tent. Spaces will be assigned under the tent upon receipt of this form on a first come, first serve basis. Vendors must bring their own tables and chairs for their displays. Vendors may bring their own tents but must provide appropriate stakes and weights. 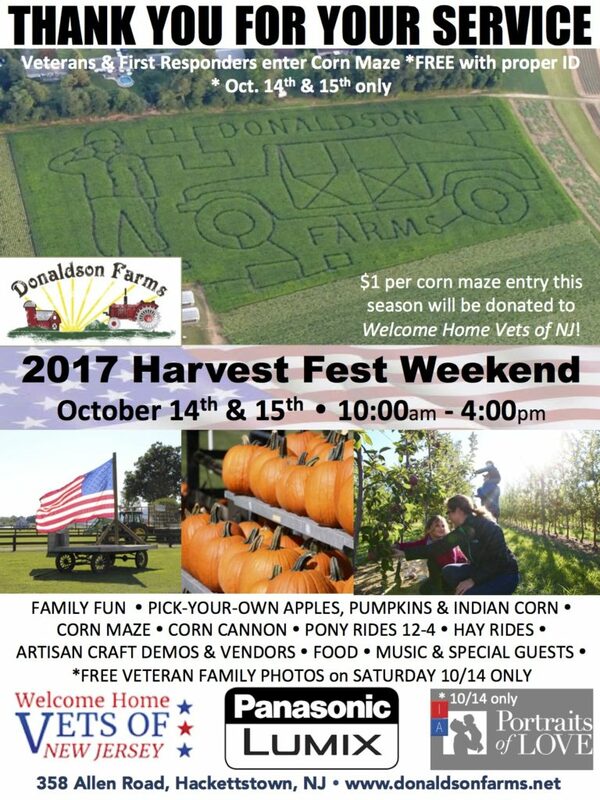 Vendors will be accepted at the discretion of Donaldson Farms. All applicants will receive a confirmation of their status via email. Vendor Set-Up & Important Info: Vendors and Tack Sale sellers may ONLY set up between 9-9:45AM and tear down after 3PM. Please look for signs that will direct you to the Vendor area when you arrive. If conditions are windy on the day of the event, please allow time for event staff to assist you with tent anchoring, if applicable. Once unloaded, vendors must park in the general parking area. PLEASE NOTE: All vendor spaces must be cleared immediately after the event. No items may be left behind. Cash payment is due on the day of the event. Tickets now available! Amazing food and drink, celebrity chefs, live entertainment and more. The 5th Annual Skyland Region Taste of the Town Food & Wine Festival will be held at Donaldson Farms April 28th – 30th, 2016. This event is presented by the Allamuchy Township Education Foundation (ATEF), a community-based 501(c)(3) organization formed to serve as a conduit for corporate and individual donors. It exists to raise funds for school district needs, cultural and enrichment projects and events for students and the general community, and restoration endeavors and various programs at Rutherfurd Hall. April 28th: Outstanding in the Orchard Dinner – An open air dinner prepared, cooked and served in the apple orchard. A five course chef, five course, 10 wine dinner uniquely presented. April 29th: Our 5K Donaldson Dash will be run at dusk through the picturesque fields rarely seen by the general public. Run as an individual, as a couple or as a team and help us raise money for the Trinity Church Food Pantry. April 30th: Grand Tasting – Our 5th Annual Tasting features the likes of Morris Tap & Grill of Morristown and Paragon from Clark. Dozens of wines, beers, and distilled beverages.